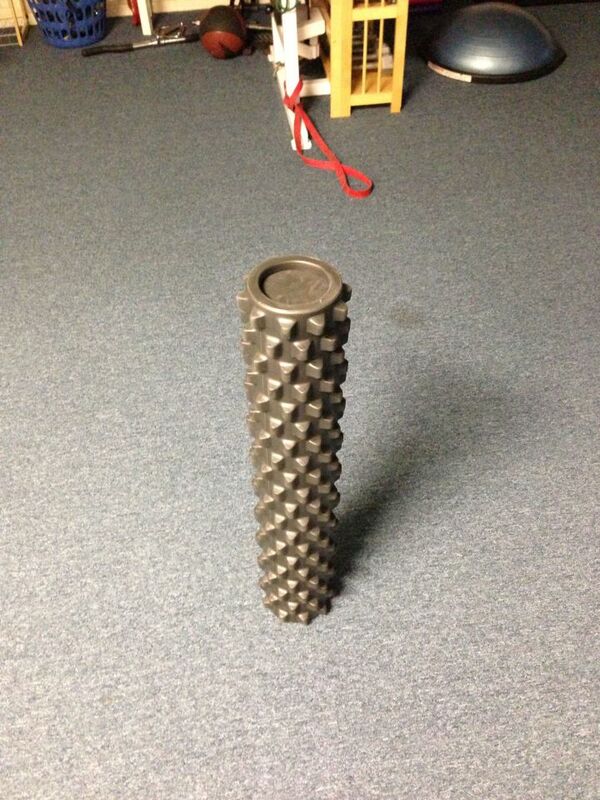 A few weeks ago I read Greg Lehman’s article on why you should stop foam rolling your ITBs. I thought it was well written and very well thought out and I shared them with my readers via Educainment. I also forwarded the link to a friend who has been suffering from lateral thigh pain for years. We will call him Ivan Trotten Baume. The following is the email correspondence between us. Ivan, like many other people, has decided to educate himself regarding these matters, and is pretty well versed in the ITB and related topics. Take a look at this and the rabbit hole it sends you down. Thanks for the article. That headline sure is click-baiting after reading the post. Every time I start to get interested in self-education to treat my various maladies, I always run into the same problem: If you ask 5 “experts” in sports medicine none will agree on what is best. Some say x activity will let you live forever. Some say the same activity will cause gremlins to come to your house and kidnap your children. Each supported by studies and testimonials. How do you resolve these disputes in your practice? It seems to devolve into a philosophical exercise on what is “truth” and what the meaning of “is” is. Is truth what you can experience? (testimonials) Is truth mathematics? (x% in x study saw x% improvement) I don’t mean to come across as snarky; I am genuinely frustrated with the lack of science in sports science. The myriad advice given seems much more to resemble art. (efficacy is in the eye of the beholder). For me, I don’t necessarily believe or care that the IT band is not lengthening, I think that rolling is really self massage disguised as something else. When I am on the roller, I generally also get the outside of my shins, [quads] and glutes also, but I guess that is outside the scope of his post. I do take issue with him not defining the horrific damage that is allegedly being done. He takes time to refute the perceived benefits, but neglects to say what damage is done beyond “stress”. At what rotation am I no longer concentrating force on the IT band and instead working the quad or hamstring. Or if the IT band doesn’t even exist as he says… Oye! Welcome to the world of sports medicine! One of the biggest problems I have seen with articles like this is their influence from the fitness industry, where ridiculous headlines unfortunately get people to read the articles. It has gotten to the point where I have even seen myself titling my posts with more eye catching, mainstream things like “Your Cardio is Killing Your Back” to entice the lay-person to actually read what I write instead of a lot of the garbage they get their eyes on. Data no longer exist to show how the body works or what happens to the body when certain things are done to/with it; data now exist to support each side of the argument like you stated in your email. That being said, I think that based on Greg’s writing style, he’s just trying to catch your eye with his title. I have found that over the years I have changed the way I practice in accordance to who I associate myself with professionally (whose thoughts I agree with and those whose approach I feel comfortable and trained in), and what my certifications, and continuing education have allowed me to become proficient in. If I look at research, I try to look at studies from both sides of the argument and compare to what I have seen in my own practice. An example of this from my own personal experience is regarding posture. There is the belief that if you hold “perfect posture all day” your back and neck will not hurt. Evidence, strongly and consistently, says otherwise. When finding this out, and reading it I had to say to myself, I treat so many people with back and neck pain that sit all day. There has to be some influence of posture and poor posture that is affecting how these people feel. I did not say to hell with all the postural training I had. I incorporated useful aspects of this research to let people know it is okay to slouch after periods of constantly changing good postures, but expecting yourself to be able to maintain good posture all day is setting yourself up for failure, and feeling like a failure has huge psychological affects on pain. Congrats on the marathon, I hope you killed it. For recovery I would take it easy for a bit. Gentle massage, heat, general exercise and light jogs can all help. And maybe even foam rolling if you find it helpful. My post is more of a debate with myself than an absolute scream against doing it. I just write with a little too much hyperbole. I am even open to foam rolling helping in some way, I just question the mechanisms that us therapists typically put forth. Glad to hear it has helped but time may have been a factor as well. I would recommend you figure out what you can do to prevent your ITBs from screaming the next marathon you do. I don’t really know if Greg says that foam rolling can cause damage, but it is seen as stressful (not all stress is bad, a lot of times it is a survival mechanism). The nervous system and the brain are pretty smart characters too. If they sense stress they ask what they can do to decrease the stress/pain. Maybe they send endorphins to the area to mask the pain; end result = less pain, maybe it decreases the tonal outputs to the vastus lateralis and HS; end result = less pain/perceived tightness. As I said up above, the mechanisms are not well understood (I constantly have to remember that PT is only a 60 year-old profession which is only recently trying to play catch up in the evidence based practice arena, and not all this evidence is good/current/useful and many of the why’s cannot be answered yet). I say keep foam rolling if it has worked for you! So, it’s clear that even the patients we are treating, and others within the athletic population are questioning whether we as physical therapists are just making performance art,or are we performing acts of science. Evidence based practice is only as effective if we listen to the evidence. And if the evidence doesn’t exist, then what does your experience say, and what does the patient think will help? I’m quickly working this question into my evals more and more (what do you think will make you feel better?). Let’s get better at what we do. Let’s evolve as practitioners and as patients. Let’s get better. Great to hear your comments on Greg’s article. His writing style is synomonous with (and maybe a precursor of) a growing trend amongst registered health professionals to unleash frustration in blog form. Much of the anger seems to evolve from the mass popularity that certain “treatments” & “exercise prescription) enjoy, despite a total lack of published evidence. As a therapist myself I take it all a bit tongue in cheek and enjoy imagining them at 2am in the morning tapping furiously away on their pc because they’ve just read something on the internet that isn’t true. In terms of personal development, I get a lot out of reading their outrage and look forward to the next installment. As far as rolling the ITB, I personally see the lack of logic in compressing it further into the VL, if we accept that compression & inhibition of gliding is a source of ITB syndrome. The band is dense fascia, not muscle, so expecting it to stretch or respond to pressure is a flawed plan. I’d need to see someone who spends a week JUST foam rolling and nothing else to believe that it has been the cause of any improvement.